Beyoncé watched the USA Women's football team. 21. 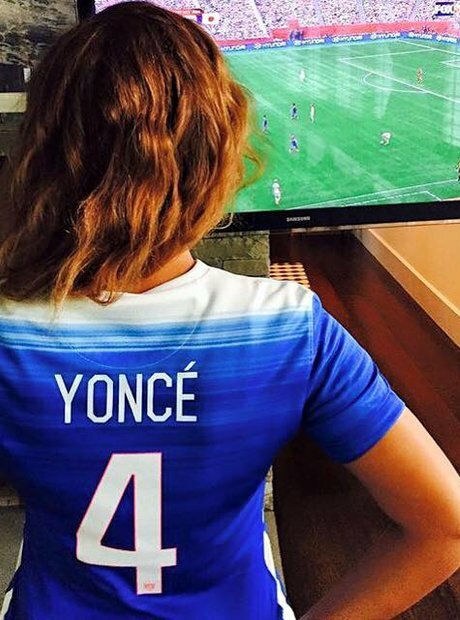 Beyoncé watched the USA Women's football team.